I’ve often thought about writing a cookbook with recipes that are meals created from other meals. Creative leftovers, recycled food, in these tight economic times throwing food away is a crying shame. Even when we are feeling flush, it is a shame. Especially when the first manifestation of a meal was so delicious. If I don’t eat something for lunch the next day, I find it hard to come back to it reheated, if I can, I like to make it into something completely different. 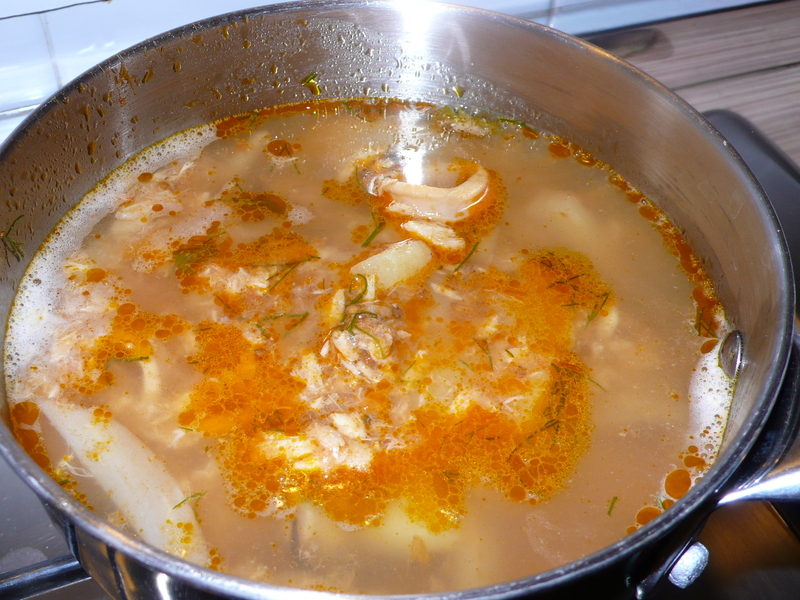 We had scarfed up most of the goodies from the zuppa the day before, but were left with a lot of broth. 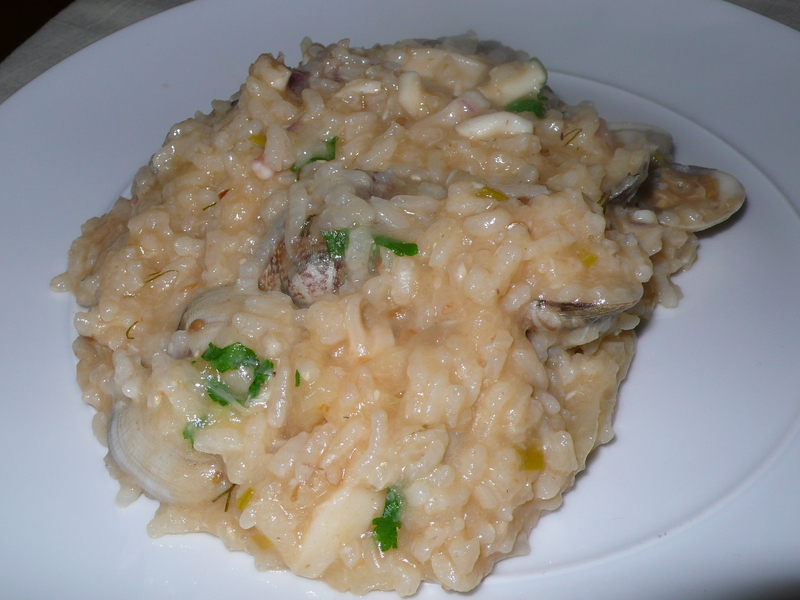 I added a calamari, some clams and a bit more fish broth, making a gorgeous risotto from the leftovers. Bring leftover zuppa and the broth to a simmer. Heat a large stovetop casserole pan over medium-high heat and melt butter at the bottom of the pan. 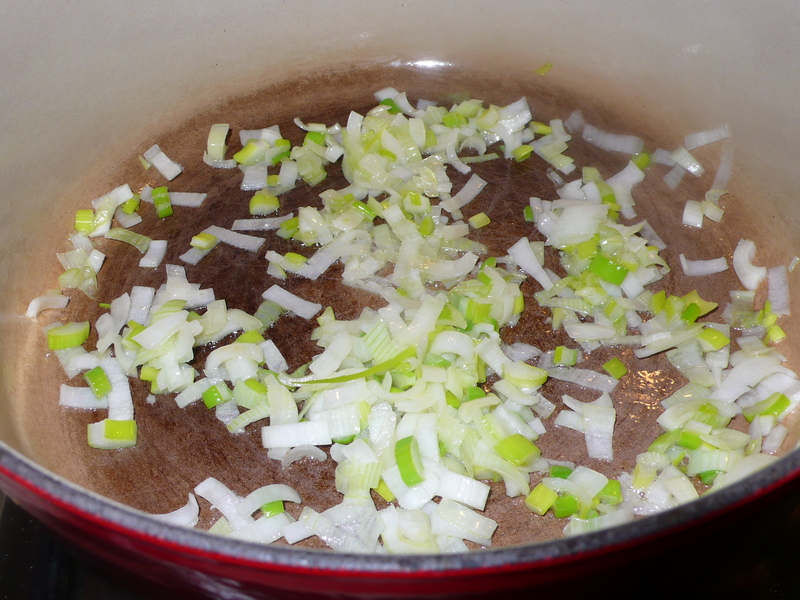 When the butter is melted add the leeks and sauté until they are translucent. Add the rice and coat it in the butter, toasting it a bit. 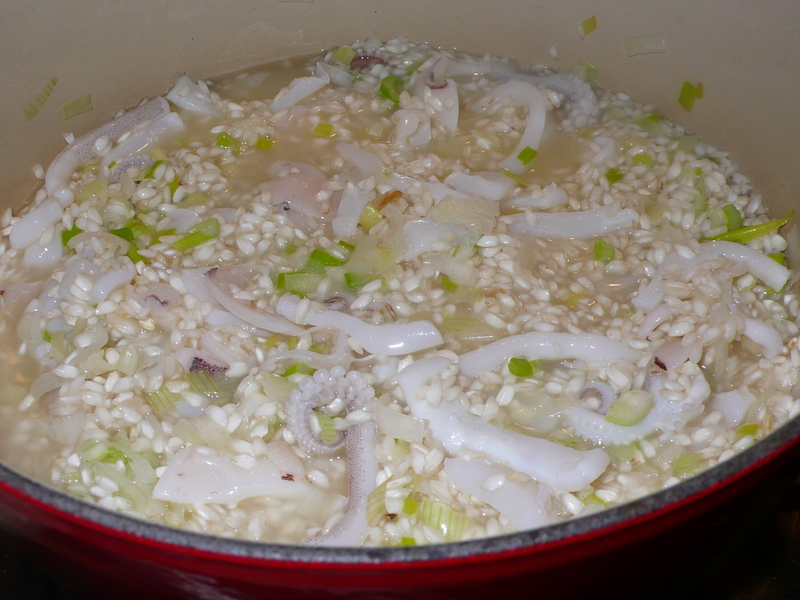 When the rice becomes opaque, after about 1 minute, add the calamari and the wine to the pan, enough to cover the rice, stir frequently. When the rice has absorbed the wine, add a ladle of the zuppa to the pan and continue stirring. Continue adding the zuppa or the broth, when the zuppa is finished, as the rice absorbs it, you want it to almost dry out before adding the broth each time. 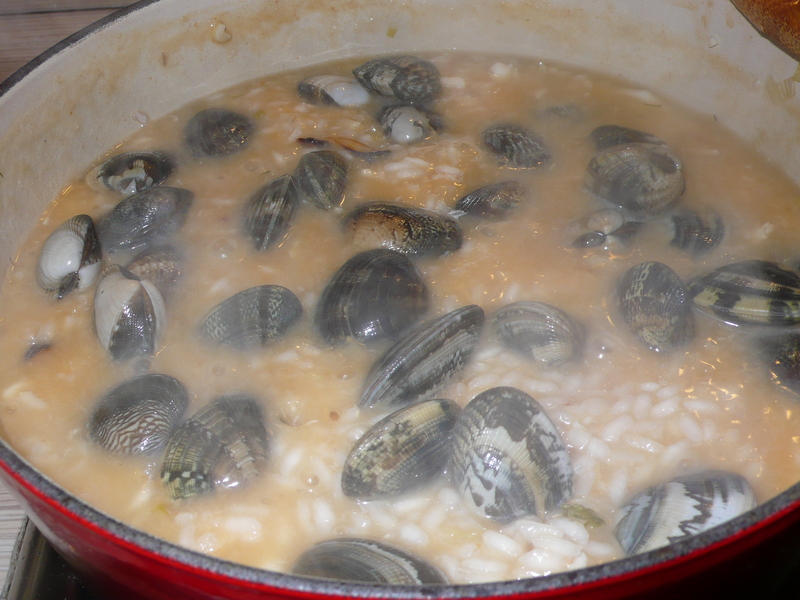 When the rice is close to being perfectly al dente, but still too hard to eat, add another ladle of broth and the clam shells, put a lid on the casserole so that they can steam open. This takes about a minute or two. Be sure that there is enough liquid in the pan so that the risotto doesn’t stick to the bottom, but not too much to overcook the rice. I made both mistakes! 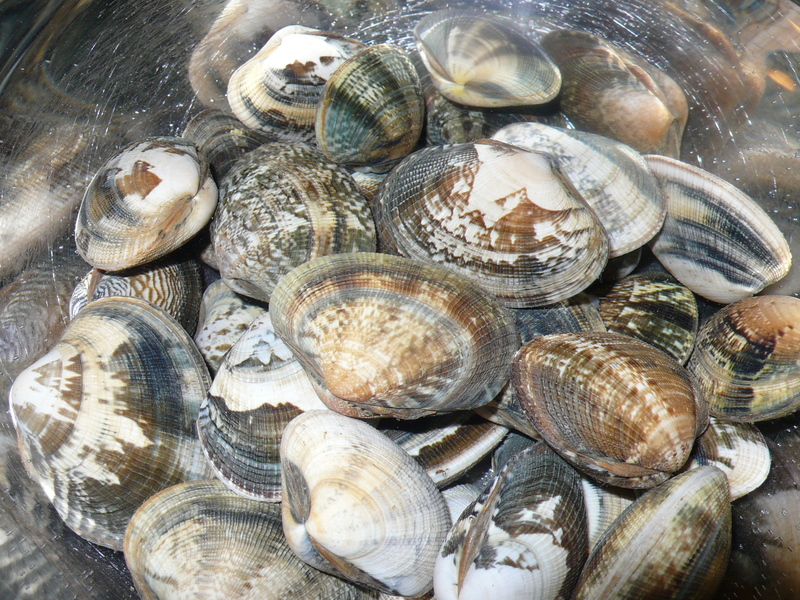 When clams have opened, check to see if all of the liquid is absorbed and that the rice is al dente. Remove from heat and toss in the chopped parsley and a tab of butter. Serve immediately. ~ by italicious on February 26, 2013.